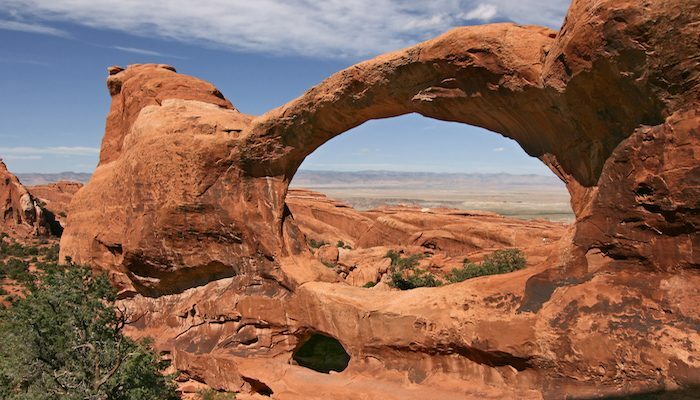 Landscape Arch is the longest natural rock arch in the park. From the Devils Garden Trailhead, follow the hard packed gravel path to this majestic site. Along the route, you will pass Pine Tree and Tunnel Arch on your right. To add a bit of extra mileage and get as much scenery as possible, take the offshoots to the viewing areas of these arches. This flat trail is one of the most accessible in the park — which means it can get crowded. Time your run for sunrise and you will not be disappointed! The lack of crowds, cooler weather and breathtaking skies will make it worth the early morning.